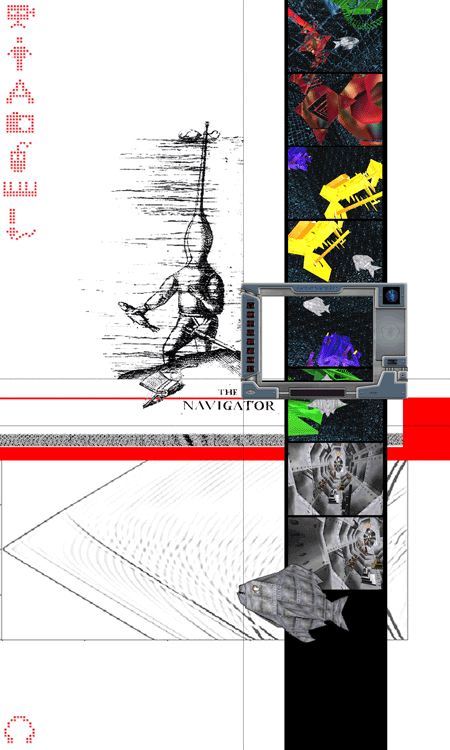 Navegar.te is a multimedia project made during the year 2002, inside the Digital Arts Master course at the Pompeu Fabra University in Barcelona. A collective work, by Jan Bechberger, Jaime Burriel and Patricia Gorozpe, that shows an interactive 3d on-line environment. Exploration, navigation and interaction into a singular world where the user is able to interact with objects, recopilate them and visualize digital art pieces in a kind of game for amateurs and professional. Navegarte also means an space of gathering for digital artists, an exhibition platform, like a virtual museum. A common place for digital workers and students, in sume for people involved in this themes. Then, not only interaction and navigation for the user amusement, also as a new way of exploring and showing contents on line. Trying to combinate both contents, navigation and exploration in what we call “new ways of communication”. Nearly one year after we presented the project, we think its still being an advanced project that explores some of the newest ways of on-line interaction. Very few on-line projects make front to the limitations and difficulties that the 3d work adds to a project made for the internet. Our project is still “under construction”, some parts are not completely finished and we are constantly reconsidering some of his concepts and design. Next friday, november 28, at the Straddle 3 open fridays we will show the project explaining its key concepts and trying to generate a dialogue about it with the public who comes over, answering to your doubts and questions, and listening to your critics, purposes and ideas. Our will is to make this project as big as we can implicating all the people who can be interested on it. > you are the navigator: look for the tools and play!